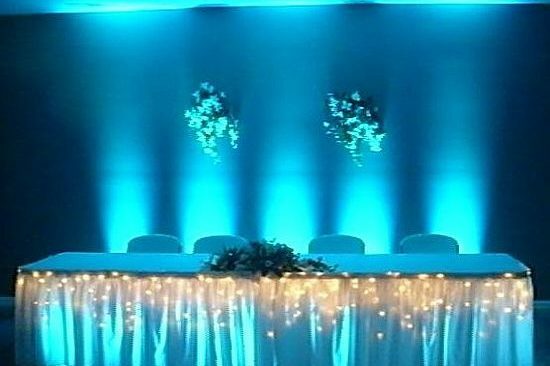 LED Uplighting service is suitable for a wide variety of events. Using modern LED Lighting & Computer Controlled technology we are able to select any shade of any color you may desire. 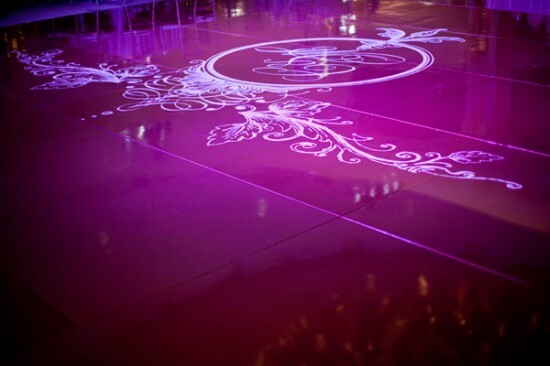 Which can be used to paint your venue with light. LED lighting this doesn’t get hot so it’s safe to use for long periods of time. Designed to complement your choice(s) of color scheme at the touch of a button. 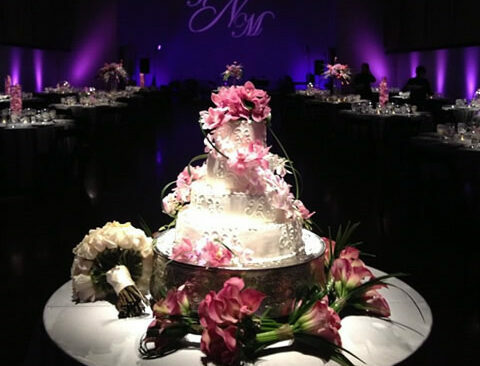 We can transform your venue into one standard color or a mixture. We will install lighting well before you and your quests are set to arrive. If you choose to have the lighting on a static color we can program the lights to slowly fade between the colors of your choice. 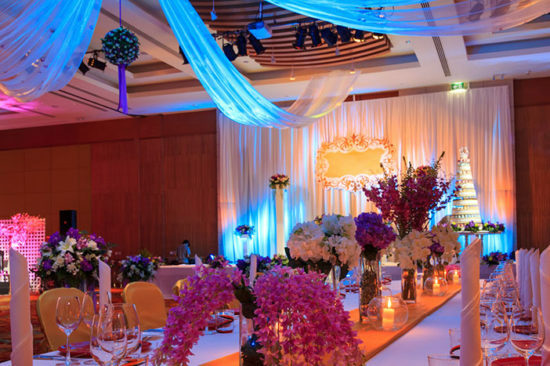 There are so many ways to incorporate uplighting to any wedding and event, the sky is limit . 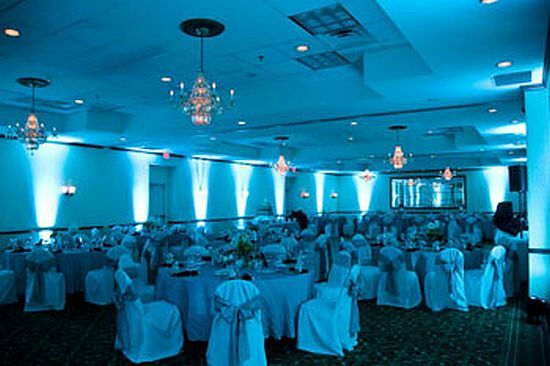 *Please contact us for a full room uplight quote. Your wedding pictures will be one of few tangible things you have once the day has passed. Your head table is the focus during a large portion of your wedding reception, so by default, it also serves as the background in pictures of your speeches, toasts, and other special moments. We let you decide what goes where and how, we just haul the equipment and get your party set up just the way you like it. 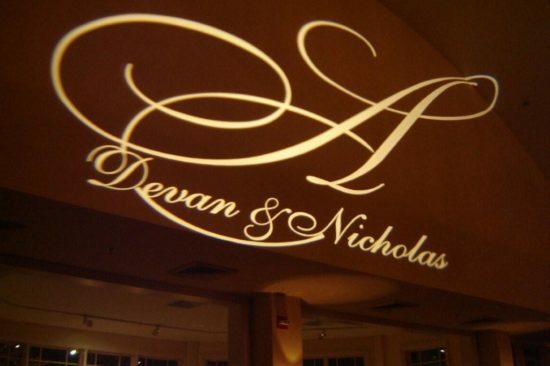 *Pricing depends on the custom Gobo.